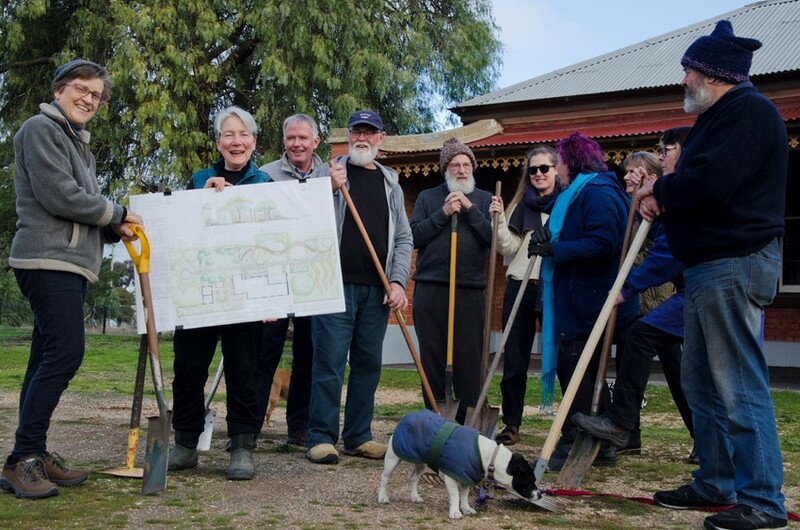 Help fund our vision for a beautiful garden entry to the Newstead Railway Arts Hub precinct: the Station building and Goods Shed. Our project will improve parking and access, create spaces for: activities, celebrations, quiet spots to sit, sculptures, garden ‘galleries’ and more. Look at the garden design we want to implement through Pick My Project funding and then please VOTE! The Pick My Project funding is based on the number of votes – see reverse side on how to vote for Wasteland to Wellspring. Voting closes Monday 17 September at 5pm. See How to Vote below – but if you need help come to our stall at the Community Market on Sat 15 Sept at Rotunda Park, to find out more about our project and vote on the spot! Go to the Pick My Project website (https://pickmyproject.vic.gov.au) and register your name and contact details. Select the local community you want to vote in – choose Newstead. You can vote in any local community. Pick My Project will show you projects within 50km. You can create a short list of between 3 and 6 projects. Wasteland to Wellspring is our project – please pick it! You have three votes and you need to vote for three projects. You can’t give three votes to the one project. And each vote is equal. When you vote, you will need to provide your mobile phone number and then submit the 4-digit number you receive via your mobile phone. This verifies that only Victorians can vote. Once your vote is in you can’t change it, so take your time! And then share who you have voted for via social media. No internet, email or mobile phone? This is how you can vote. Call the Pick My Project team (1800 797 818) and they will help you vote. First you need to have decided that Newstead is your local community and picked your 3 favourite projects – include Wasteland to Wellspring. Or if you have an email but no mobile phone you can register at Pick My Project, choose your three favourites and then call 1800 797 818 and they will complete the final verification step for you. Share the love – get others to vote! Invite your neighbours, friends and relatives to vote for our project. They can vote for projects in Newstead and surrounds no matter where they live in Victoria.